Dolpa is located in the shy- Phoksundo National park of mid- western Nepal, behind the Dhaulagiri massif, towards the Tibetan plateau, cut off by a series of very high passes and closed by the snow most of the year. 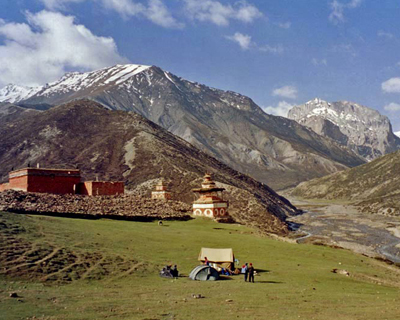 Dolpa remains a truly isolated corner of Nepal. Time has stood still here for centuries as inhabitants of Tibetan stock continue to live, cultivate and trade the way they have done since time immemorial. The finally preserved ecosystem encompasses a wild and wonderful variety of plants and wildlife, including the blue sheep and snow leopard and magnificent views including MT. 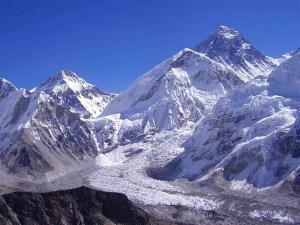 Dhaulagiri(8167m.). A trek through Dolpa is an experience not easily forgotten for instance an enchanting trek in this region by Peter Matthiessen gave birth to his masterpiece “Snow Leopards”, a spiritual novel and one of the best sellers. 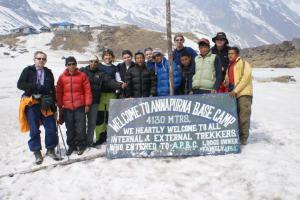 A trek of this region is recommended for groups on basis of full board organization. The trek begins at Juphal and follows the trail to Dunai, the first camp then proceeds to Tarakot, way up to Shering Gompa (4440m) which is the highest point of this trek, passing through the Saldang and Shey Gompa village, we descend to the beautiful Phoksundo Lake, which is apart of the Shey Phoksundo National Park. 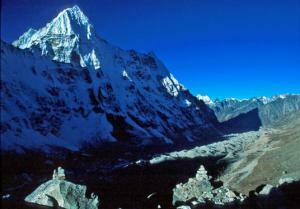 This region of more than 3000sq.km is among the most spectacular and protected area in Nepal. The trek concludes with descend to Chepka village and then to Juphal, from where we fly back to Nepalgunj then to Kathmandu.